In spring of 2010, the ongoing measurements at Summit Station (72° 36’N, 38° 25’W, 3250m), atop the Greenland Ice Sheet, were significantly enhanced with new capabilities to observe cloud, atmosphere, and precipitation properties. These upgrades were made by the Integrated Characterization of Energy, Clouds, Atmospheric state, and Precipitation at Summit (ICECAPS) project, which is collaboratively-led by the University of Colorado, Washington State University, Vanderbilt University, University of Oklahoma, and University of Wisconsin-Madison. 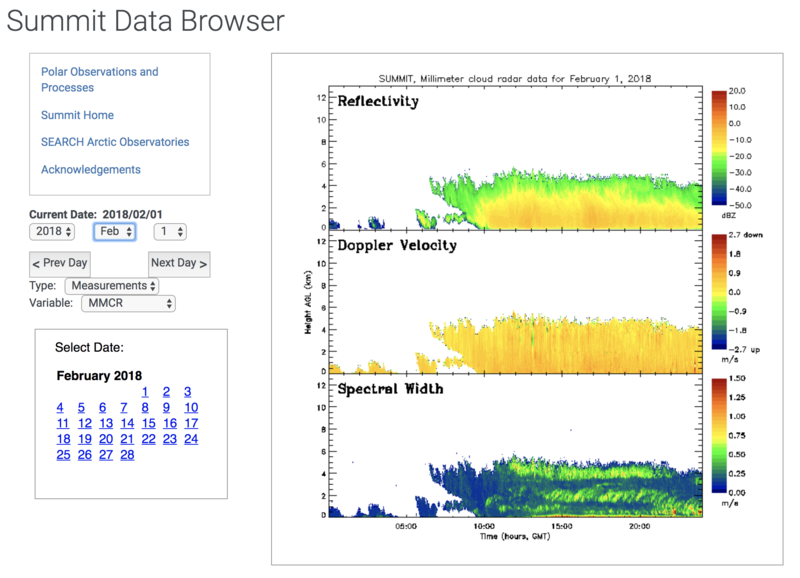 New instruments at the site include: cloud radar, depolarization lidar, micropulse lidar, infrared spectrometer, microwave radiometers, ceilometer, precipitation sensors, ice crystal imaging, and a twice-daily radiosonde program. The ICECAPS program will continue continue through summer of 2018 at a minimum. Overall programmatic and logistical support for these operations is provided by the National Science Foundation. Additional instrumental support is provided by the NOAA Earth System Research Laboratory, the DOE Atmospheric Radiation Measurement Program, and Environment Canada. Did you know...Summit Station is perched atop 3 km (nearly 2 miles) of ice! 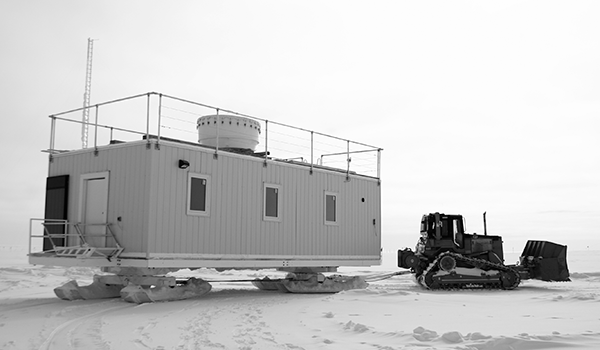 This facility supports the research needs of the International community, across disciplines including supporting Global Atmosphere Watch measurements as well as other climate observations. Higher order derived geophysical products from the ICECAPS project. A Datagram is a virtual data 'mentoring tool' intended to guide anyone accessing the data file or the instrumentation used to generate fields within that file. While a data user will ideally collaborate closely with a principal investigator, Datagrams provide a structured basis for independent inquiry and logical information exchange about data processing.